The professional cooking Low Sauce Pans series offered by us feature commercial finish that makes them perfect to meet the heavy duty cooking demands of commercial establishments. 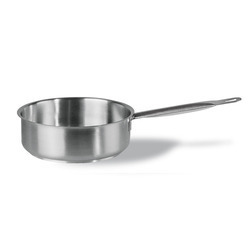 These also feature heavy lids to provide needed help in cooking various dishes. 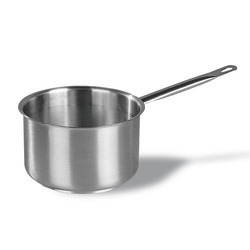 Stainless Steel High Saucepans offered by us are best for quick preparation of gravy and sauces and small portions.